After submitting your résumé for a job opening, it can be nerve racking not knowing if your résumé is pleasing to the hiring manager's eye. However, when your résumé is being reviewed, the last thing you want them to disqualify you on is because of grammatical errors in your résumé. 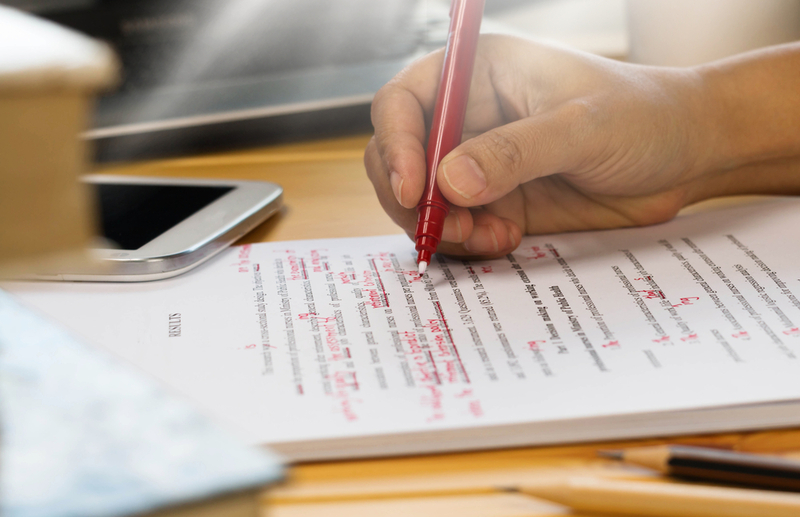 In order to avoid these errors from happening, listed below are three tips to look out for when proofreading your résumé. Match the Correct Verb Tense // For past jobs, use verbs to describe your duties and accomplishments using the past tense and not present tense. For example, use 'Instructed' instead or 'Instructs' or 'Analyzed' instead of 'Analyzes'. Check for Context of Words Used // Verify if you have any words that can be used in context incorrectly such as 'there' and 'their'. Although these words sound the same, they don't mean the same in context. Eliminate Misspelling of Words // The most common grammatical error is misspelling of words. Although this is the easiest to catch, it's the fastest way of being eliminated as a candidate. Do yourself a favor and catch it before anyone else does. All in all, take time in proofreading your résumé to avoid having grammatical errors. It will put your mind at peace knowing that you checked several times for any possible errors with your résumé.